Puns are fun. And so are pop culture references. And if this music video doesn’t quite combine those two things in a fully satisfying way, it at least offers some pretty great production values and cool Star Wars-inspired imagery. 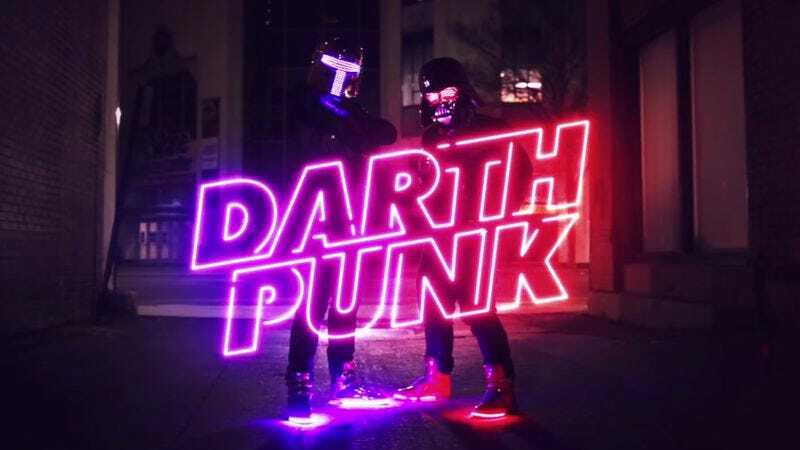 Geeky short film production company Infectious Designer conceived of the idea of a Daft Punk/Star Wars parody group called “Darth Punk” back at Dragon Con in 2012. The music video for “The Funk Awakens” isn’t a spoof per se, but a surprisingly serious attempt to show what it would be like if Darth Vader and Boba Fett really committed to their music careers. Those looking for more jokes might want to check out the slightly more comedic prequel video.